Mutant X Cyclops is the best Cyclops. 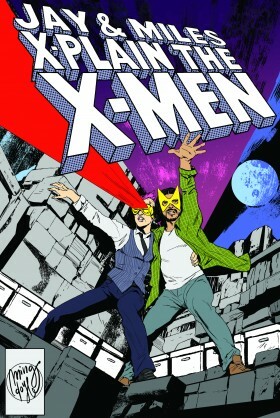 I know this story is all about teamwork, but Rogue definitely wins MVP of Uncanny X-Men #218. NEXT WEEK: Origins of X-Men: Evolution, with Robert N. Skir! Special thanks to the wonderful Adam Warrock for letting us sample his song “Teamwork” in this episode! You can listen to the full track here, and find more of Adam’s work at adamwarrock.com! In which Dazzler is not a team player; Longshot is the Zonker Harris of the X-Men; Juggernaut is That Guy; Rachel and Miles channel Statler and Waldorf; and Alex Summers is seriously never, ever going to finish grad school. The wonderful Adam Warrock, for letting us sample his song “Teamwork” in this episode! You can listen to the full track here, and find more of Adam’s work at adamwarrock.com. Harrison Barber for his X-Pert D&D advice (not to mention nearly fifteen years of tolerating our nonsense at the gaming table)! NEXT WEEK: X-Men: Evolution with Robert N. Skir! Now You Can Punch Kangaroos, Too! If you want to try your hand at the adventure we played through in Episode 62, Logan’s given us a PDF of the whole shebang, along with a full complement of character sheets! 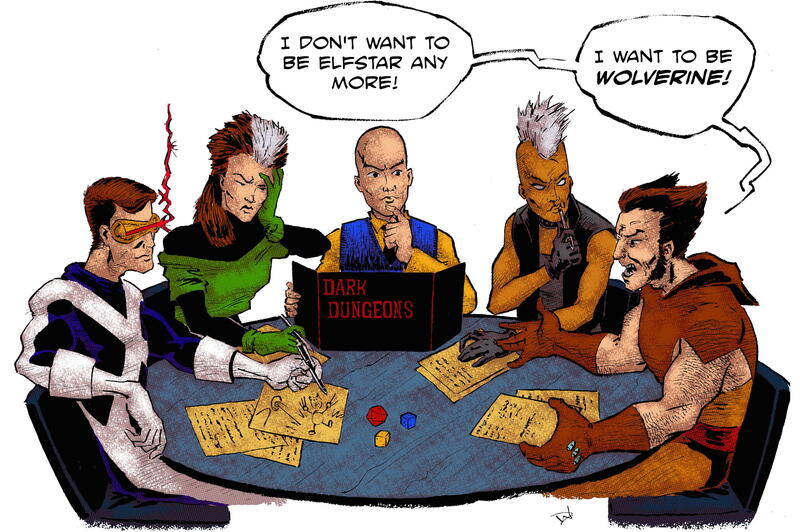 It’s worth noting that Logan originally designed this a) as a two-part story, and b) for a slightly different party than we ended up playing; so what you see in the written version won’t match up exactly with what you heard on the podcast. 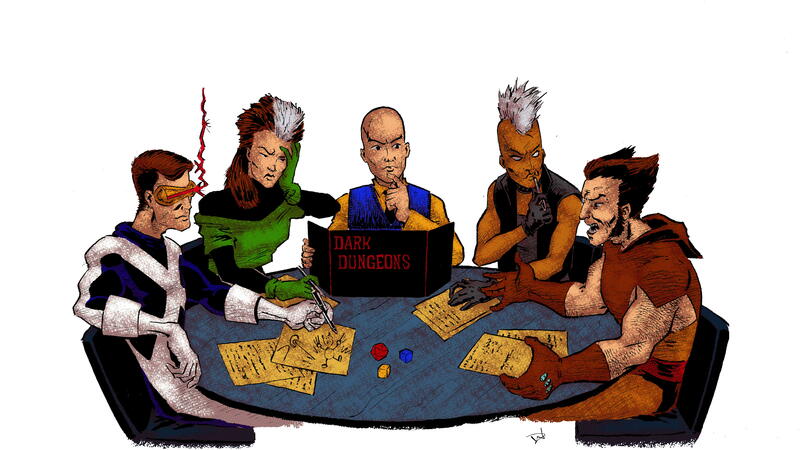 This module was written for the 1998 Marvel Superheroes Adventure Game, and to play it properly, you’ll need a set of the cards from that game, as well as either a working understanding of the rules or a core sourcebook. Click through below to download the adventure! Contest: Roll to See if I’m Getting Drunk! 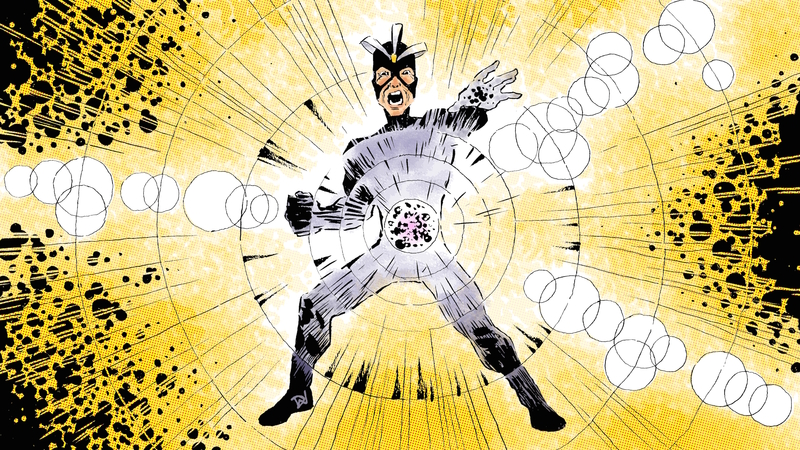 THIS IS WHERE YOU COME IN: Add your own caption or dialogue to the image below, and send it to XplaintheXMen(at)gmail(dot)com by MONDAY, JUNE 29 with the subject NATURAL20. We’ll post your edits to the blog–and send a whole mess of fancy dice and other goodies to our favorite!